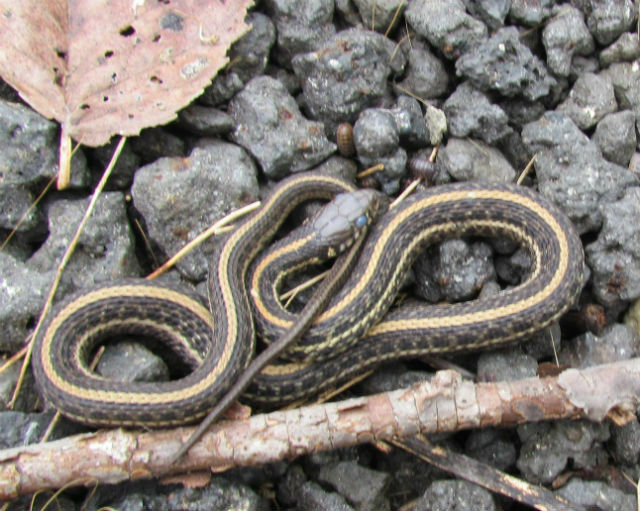 While flipping some debris behind a gas station in Kankakee, Illinois, I came across this “lifer” reptile. 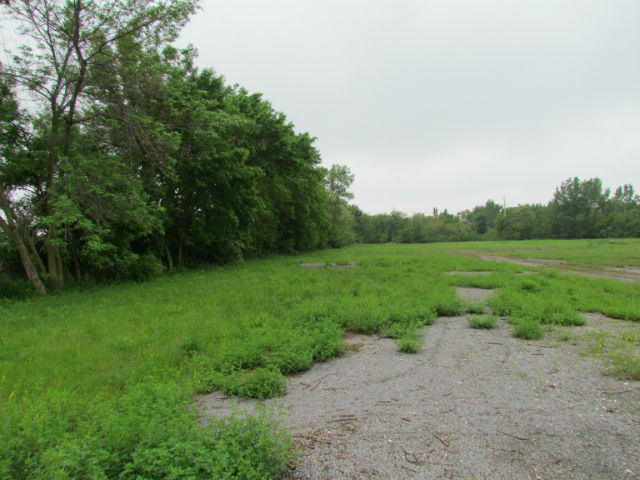 This snake occurs in grassy areas such as vacant lots, abandoned fields, meadows and pastures. It is not unusual to find them near towns. Plains Garter Snakes are native to most of the central United States and range as far north as Canada and as far south as Texas. In my home state of Ohio, we have an isolated population. 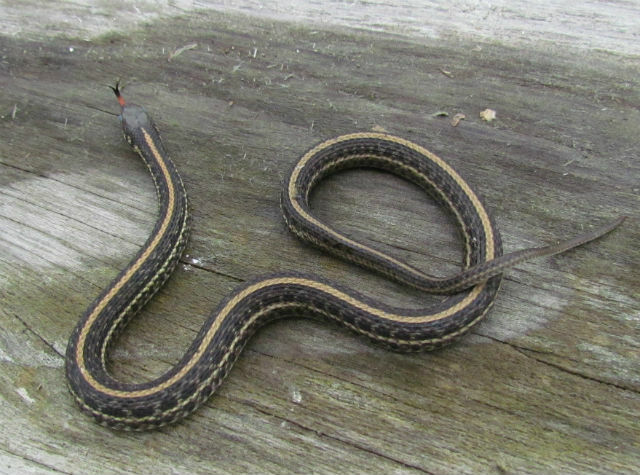 Their diet is similar to that of most other garter snakes; they favor frogs and toads, salamanders, fish, small rodents, leeches and earthworms. 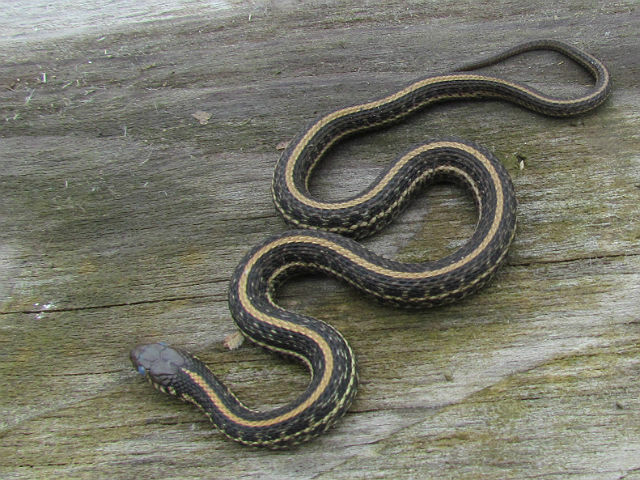 Like other garters, the Plains Garter Snake features three yellow stripes on a background color of dark brown to dark green. 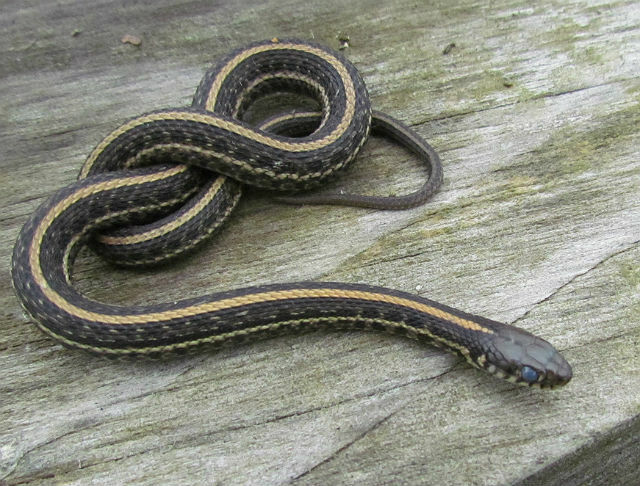 Described as “one of the most cold-tolerant snakes,” on warmer Winter days, it often comes out of hibernation to bask in the sun. Though the habitat was unglamorous, while visiting the “Land of Lincoln, it was super cool to find this snake that I’ve never seen in the field before. 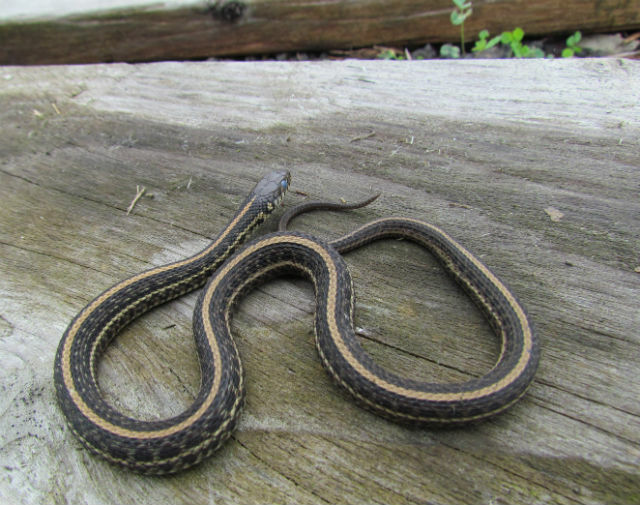 This entry was posted in Snakes (Garters & Ribbons) and tagged Plains Garter Snake by tspuckler. Bookmark the permalink.